“Prairies Wide and Free” tells the story of Icelandic settlement in North Dakota. Pictures, texts and dramatic settings bring to life the stories of the Icelandic settlers and their changed way of life in their new home. Emphasis is placed on children’s experience of the long journey and arrival in a place where the natural world was full of strange plants and animals they had never seen before. 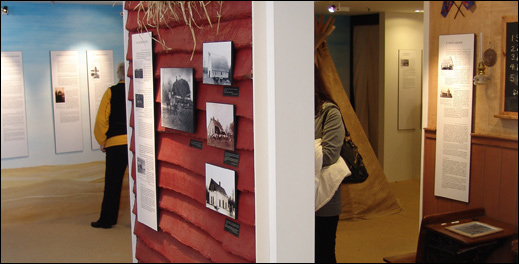 The exhibit was prepared in cooperation with the Glaumbær Folk Museum and the Icelandic Communities Association of North Dakota.